As rapper Rick Ross' much-vined catchphrase "shoutout to all the pear" goes viral, how will the U.S. pear industry be affected? Gawker reports that pear emoji use on Ross’ Instagram page has gone through the roof. Fans are Photoshopping Ross in orchards, superimposing his face on pears, and even getting Ross to autograph the fruit. 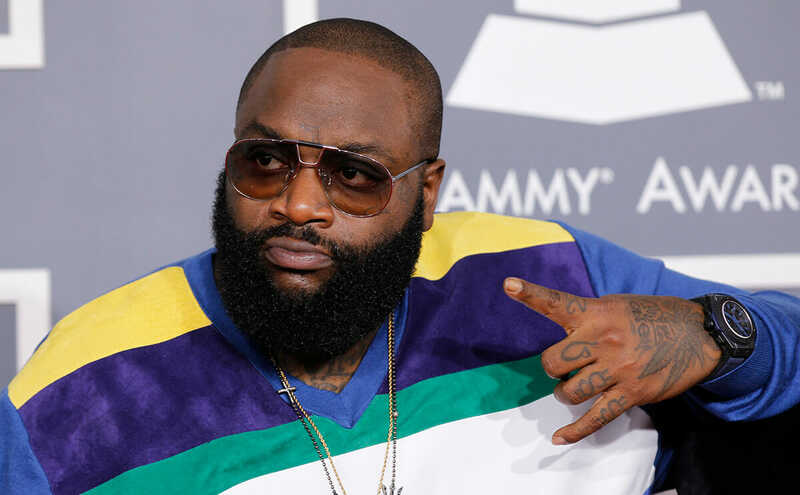 Twitter searches for “Rick Ross” and “pear” show just how far this meme is spreading. All of which makes us wonder if Ross’ ringing endorsement, and the meme that it spawned, could actually affect pear sales IRL. This wouldn’t be the first time that pop culture inadvertently affected food sales. L.A. shawarma joints reported up to an 80 percent increase in sales after that once scene in The Avengers, and Reese’s Pieces sales climbed 65 percent after E.T. USA Pears‘ spokesperson Kathy Stephenson says that though they haven’t seen an uptick in sales at this early stage, they have seen increased social media impressions. Rick Ross fans are giving the USA Pears and Twitter account shout outs and they have scooped up a couple hundred new followers from this. They’ve also seen fans boasting about their own love of pears, trying to outdo Ross. We’ll see if pears go the way of Cristal and become more status symbol than fruit in certain circles. Meanwhile, Ross has reminded us that it’s been way too long since we had a really great pear. Who doesn’t want to bite right into in a perfectly ripe Bartlett right now and feel the juices drip down their chin? Come to think of it, we would be perfectly happy eating pear after pear right about this time of year. Ross could be onto something. Shoutout to all the pear.